With plenty of smooth, accessible power as well as integrated packing space, the Deauville effortlessly handles all kinds of journeys, from daily commuting to leisurely weekends away and cross-continental adventures. For 2011 it is available in a new colour version – Carnelian Red - that enhances the aerodynamic curves of its bodywork and complements the current Pearl Concours Black and Spangle Silver Metallic colours. The Deauville’s compact V-twin engine is responsive and reliable, delivering impressive roll-on acceleration, even with a passenger and luggage on board. With a clean, quiet, low-maintenance shaft drive, a relaxing ride is assured. A generous fuel tank and good fuel economy allow for long stretches of uninterrupted touring. Braking is balanced and confident with Honda’s advanced Combined ABS system available as standard. The Deauville’s distinctive styling reflects its road-ready character. Sleek and compact, it easily negotiates narrow European streets and busy traffic. During high-speed touring, handling remains light and firm. The low seat offers a comfortable, relaxed riding position with ample space for a passenger. Its fairing offers substantial wind protection, enhanced by a 5-position adjustable windscreen that protects rider and pillion from buffeting winds. A pair of large-volume, easy-access panniers is integrated in the bodywork. 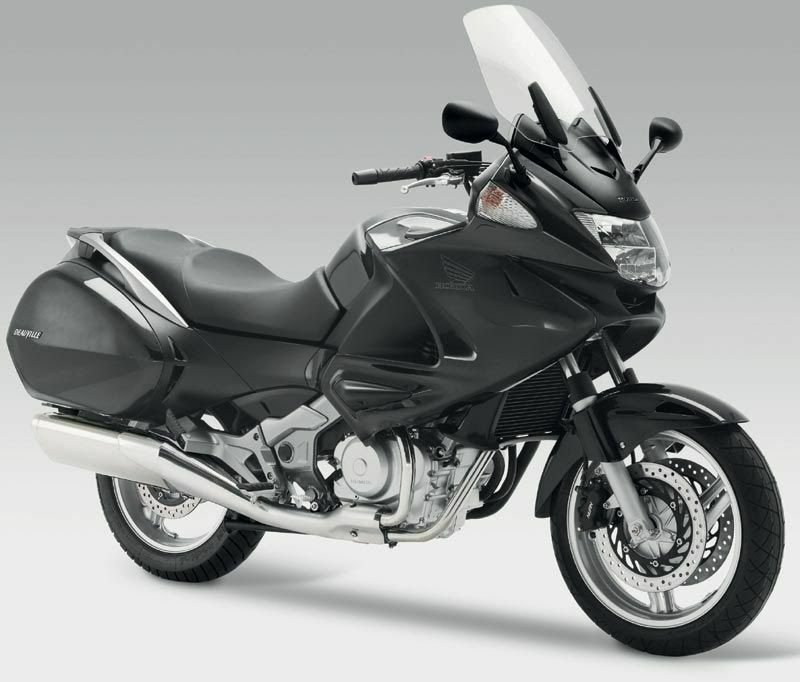 For more packing space, these can be expanded with an optional Large Pannier Lid Set, designed by Honda Access. These are just part of a broad range of specially designed accessories that are available to further extend the versatility of this impressive all-round tourer. New Carnelian Red and Shasta White colour versions. Strong, responsive and reliable liquid-cooled 680cc V-twin 4-valve engine delivers reassuring power and easy riding through a clean and quiet shaft final drive. PGM-FI fuel injection system contributes to impressive power, smooth response, low exhaust emissions and high fuel economy. 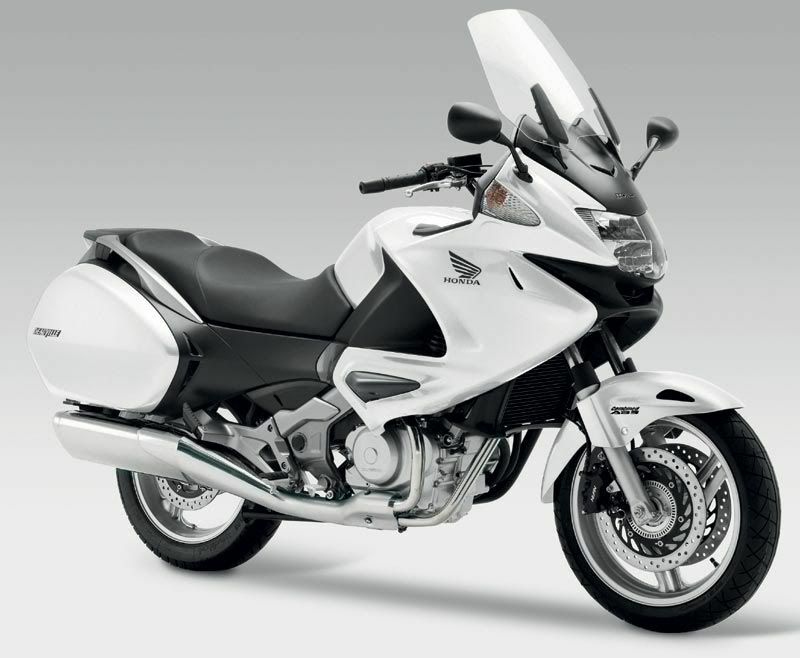 Aerodynamically styled bodywork features large, integrated panniers with locking lids. Excellent wind protection is further enhanced by a 5-position height-adjustable windscreen. Combined-ABS version offers the sensitive rider response and high braking performance of Honda’s advanced Antilock Brake System for supreme confidence and control. Smoothly compliant 41mm front fork and heavy-duty adjustable single-shock rear suspension contribute to a comfortable, controlled ride. 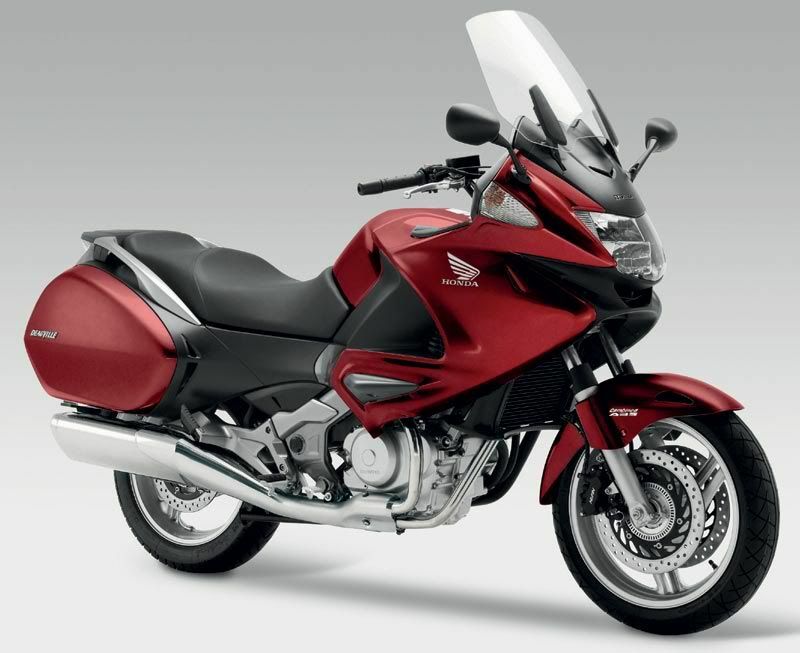 Extensive range of optional accessories from Honda Access extends touring comfort and convenience. HECS3 oxygen-sensing catalytic converter system minimises harmful exhaust gas emissions to ensure full EURO-3 compliance.